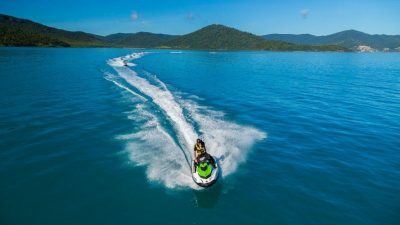 Multi award winning Whitsunday Jetski Tours offers exciting adventure tours in the Whitsundays and is the first and only guided jetski tour operating from Abell Point Marina, Airlie Beach to the Whitsunday Islands. 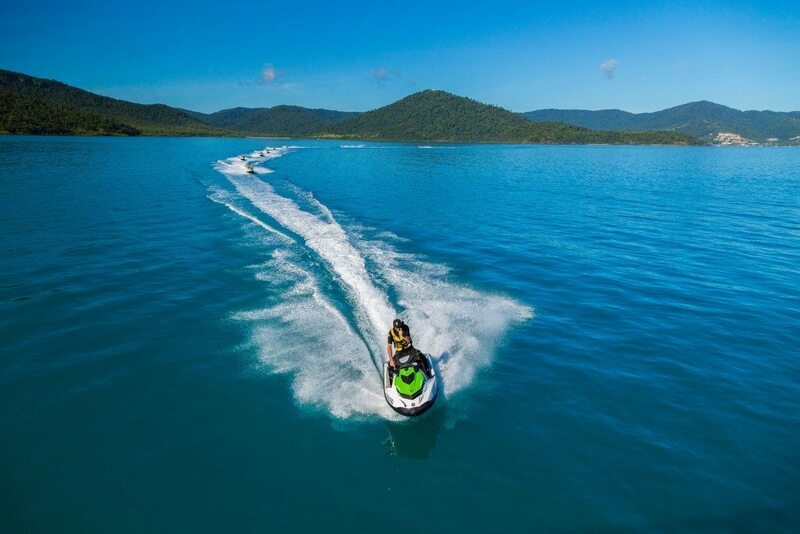 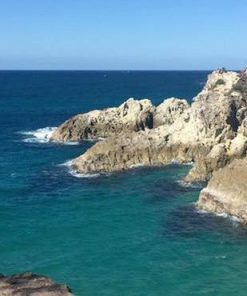 Guests can ride the latest Sea-Doo GTI 1500cc jetski into the beautiful world heritage Whitsunday Island Marine Park on three fun-filled adventure tours. 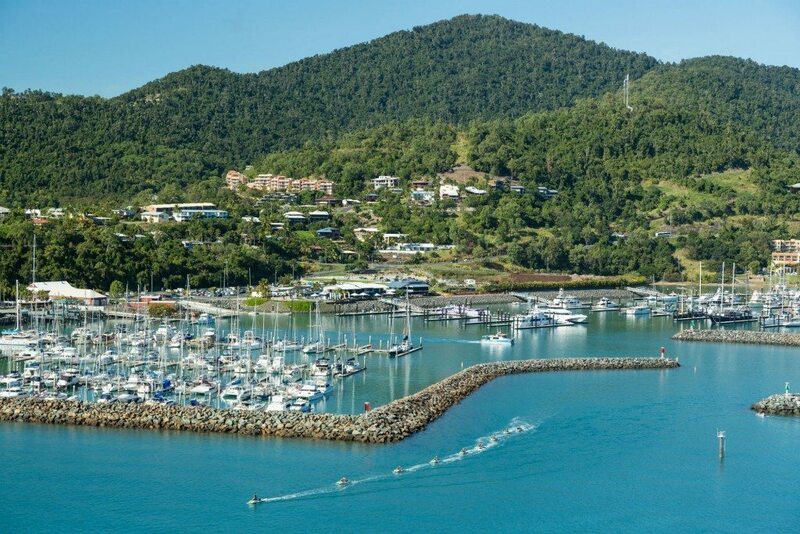 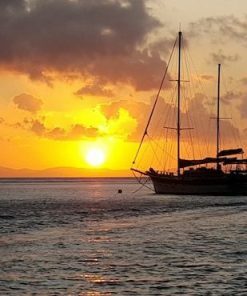 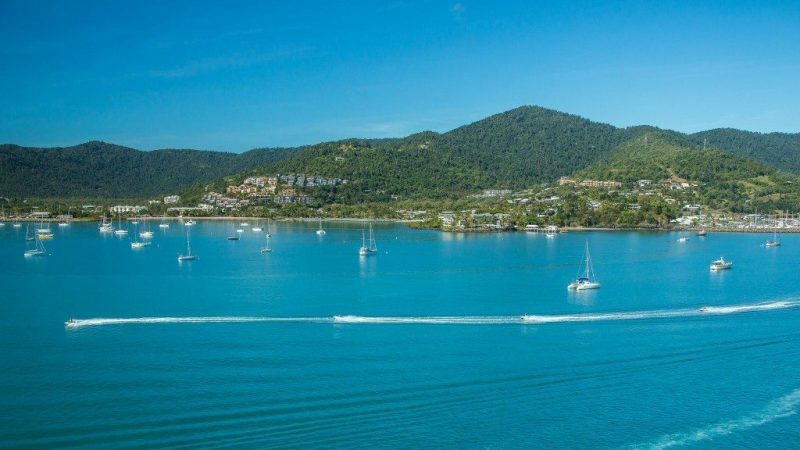 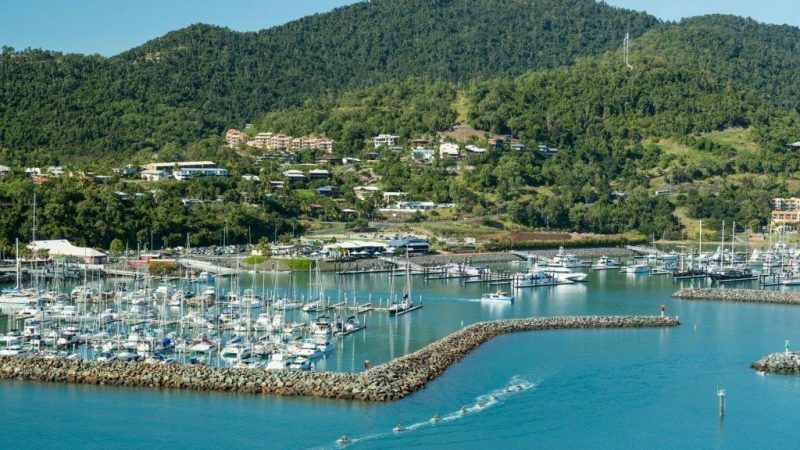 The Airlie Adventure is for everyone….exploring the beautiful Pioneer Bay, Port of Airlie and Airlie Beach on a journey through natural and manmade wonderlands…wrapped into one sensational experience. 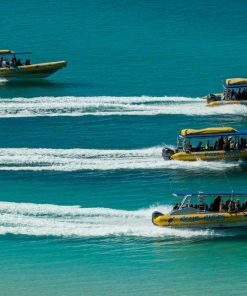 The Two Island Safari is all about the jetskiing…maximising your time on the water, while exploring the beautiful Whitsunday Islands. 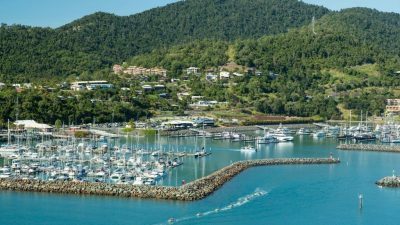 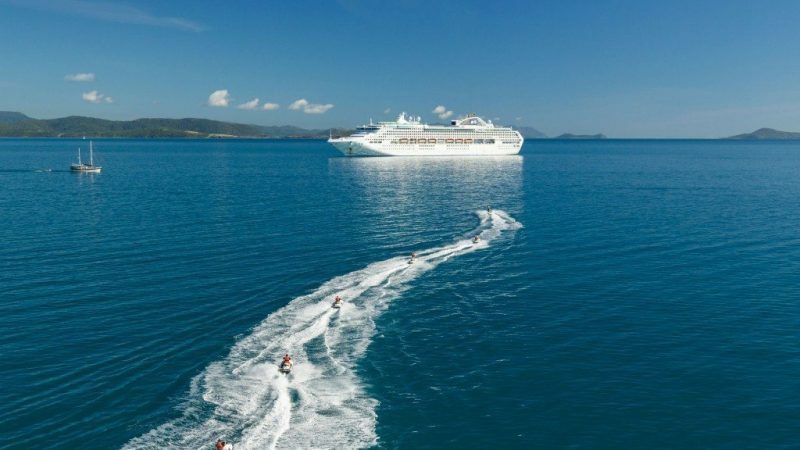 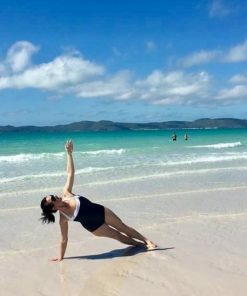 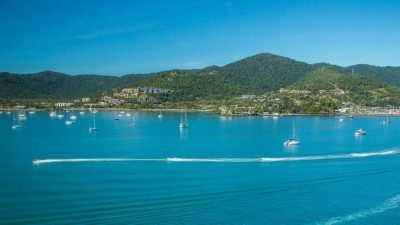 Journey to the centre of the Whitsunday Islands, visiting the natural beauty of South Molle Island and stopping over at multi award winning Daydream Island Resort. 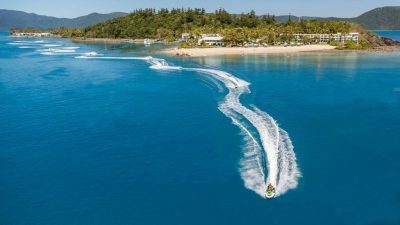 The Daydream Extreme is for the more adventurous with open water jetskiing experiencing the Whitsundays’ offshore islands. 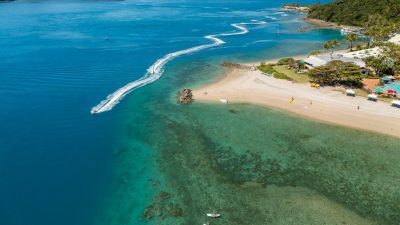 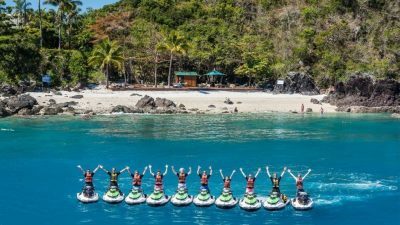 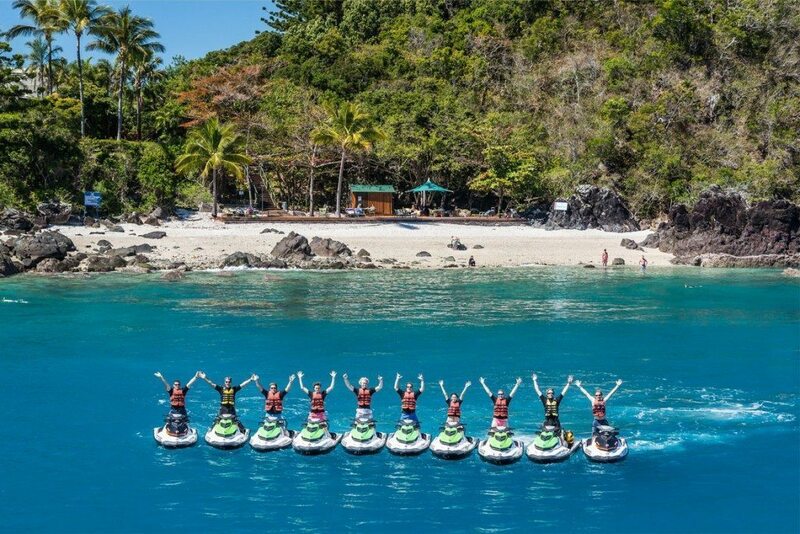 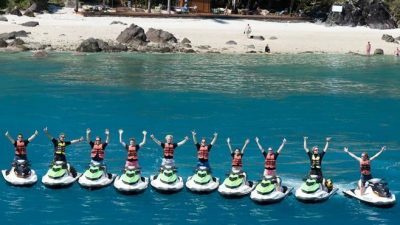 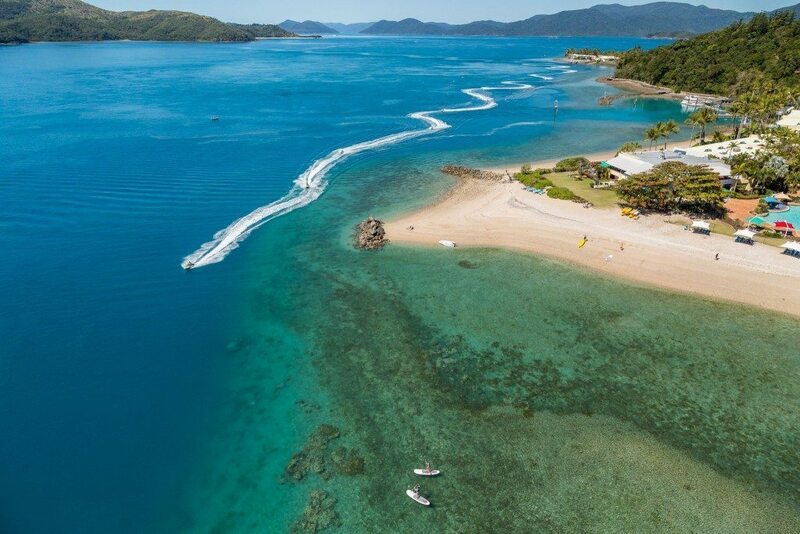 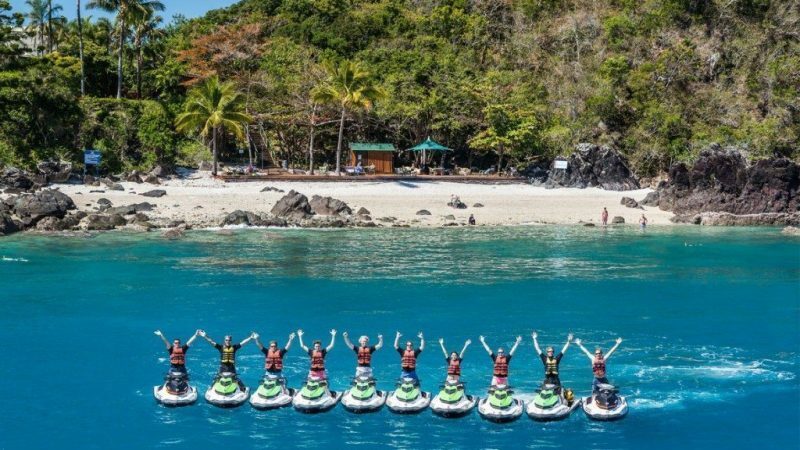 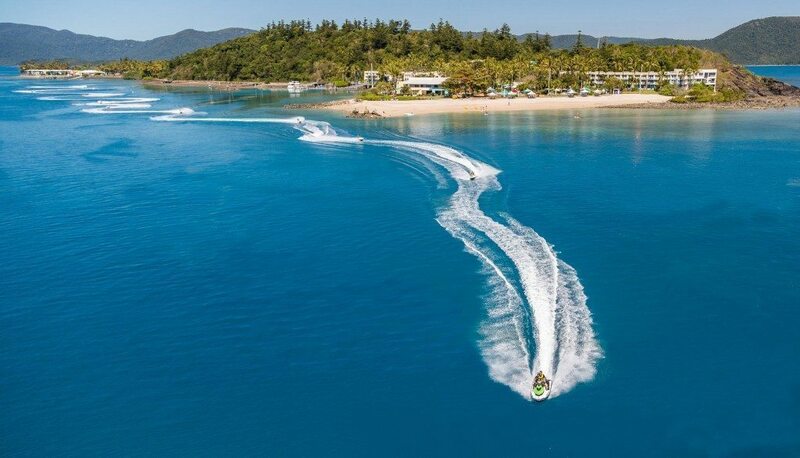 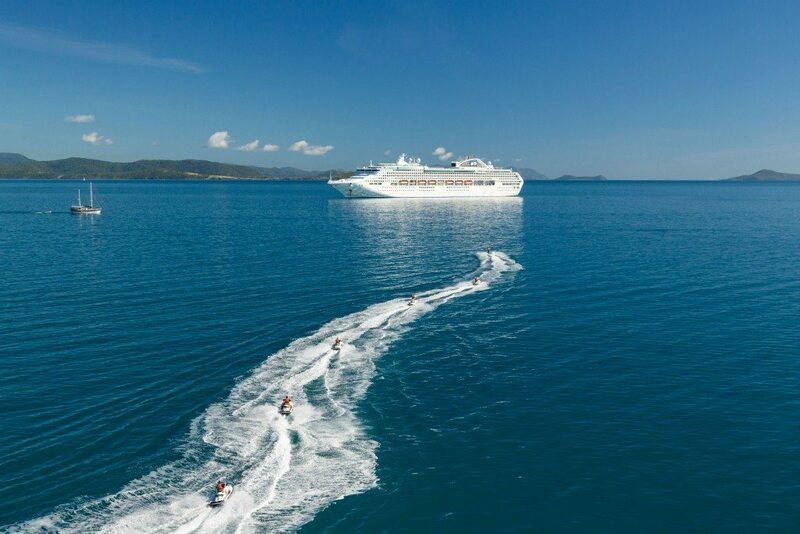 The tour offers action packed jetskiing and a visit to Daydream Island Resort and Spa with lunch and a choice of activities, including the Daydream Living Reef Experience. 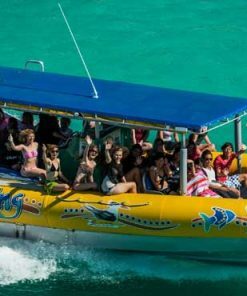 Informative commentary is provided by a qualified guide and all riding apparel is included as well as courtesy coach pickups. 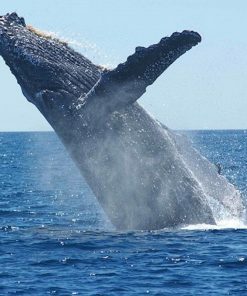 No licence or experience is necessary.